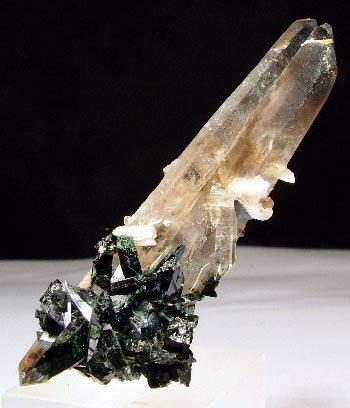 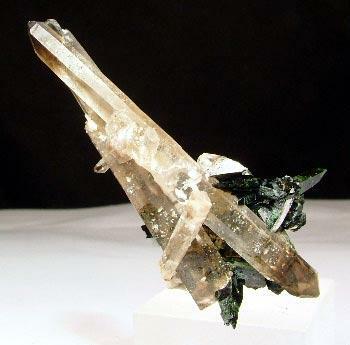 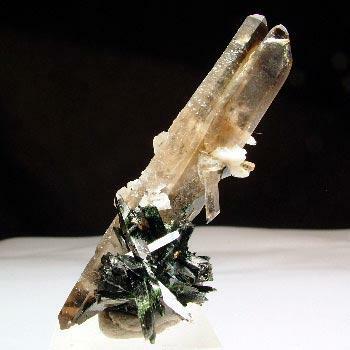 This very unusual included smoky quartz specimen features some attached and included sprays of epididymite crystals. 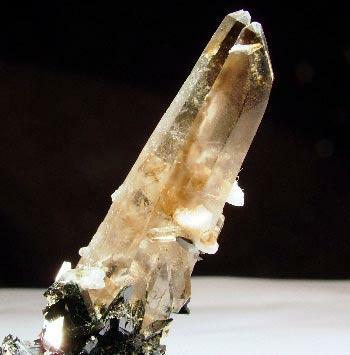 Visible to the front is a fatter single epidiymite crystal and also on the rear of the specimen. 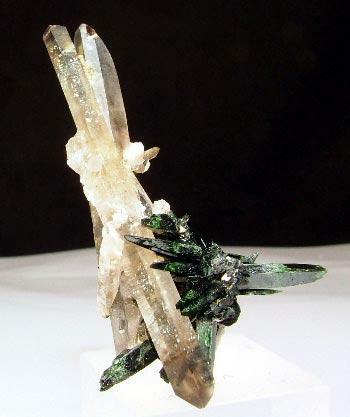 Present at the base are multiple green aegerine crystals, mostly terminated in green curved points.